What I liked the most was that he was determined to not like the game after reading the rules, and then said, “Man was I wrong! This is definitely a great worker placement game.” We’re glad that people are realizing that the game is more than the sum of its parts. Thanks for playing and reviewing it Ryan! A meeting of the minds is always a great thing; it’s made all the more better when it can be done at a wonderful location such as Snakes & Lattes, the premiere game café in downtown Toronto, ON. There were a good 17+ people there simply to show their prototypes, playtest and talk about game design. Four members of the Game Artisans of Canada were present for this inaugural event: Daryl Chow, Stephen Sauer, Josh Cappel, and me! Sky Roy’s Fantasy Monster Beatdown, a quick and intuitive wargame that plays in under an hour. It’s got a lot of nice elements (ease of play, nice map, artifact concepts), but the very basic version we played just wasn’t meaty enough or granular enough to hold my interest for the intended length of play. It suffered from a bit too much randomness (perhaps having each player have access to their own personal spell deck, etc.). I’ve sent Sky feedback via e-mail and we’ve been discussing ways to address things as he sees fit. NOTE: There is an advanced version of the game as well – I think that the “more stuff” in the advanced version may be necessary at the basic level to make people want to play it a second time and make the time invested in learning and playing the game worthwhile. RuneMasters by Jay and me – Daryl and I played through a few rounds just to try to work out some of the kinks. He thought of a great idea re: morphing the RuneSticks in addition to draining and fading. I added the element of collecting items won to the side to reduce “analysis paralysis” (a.k.a. “AP”) which really worked to streamline and limit decision making. Also thinking of increasing granularity in scoring to reduce chance of ties…and of removing diagonal RuneSticks to simplify drawing and chaining from rune to rune. The last game of the night was Daryl and Al Leduc’s Mafia card game. It was late when we played and I don’t think we all picked up on all of the rules (though there are very few!). The only comment made was to try doing the draw and discard at the end as opposed to the beginning of a turn. It drew things out too much and didn’t force us to use cards we didn’t like. Plus, I just don’t think we got the strategy. I’d like to try again as I like simple yet complex card games. By all accounts, the first Board Game Designers’ Night was a rousing success – S&L is amenable to hosting more in the future, so watch this space for updates. If you are a Toronto-area designer looking for playtesters and feedback from other designers, this is the place to be! While the game itself doesn’t work well in Cantonese for whatever linguistic reasons, the people at Jolly Thinkers had a great time playing Train of Thought in English – so they’re going to import English copies to sell in the Asian Pacific region. Very cool! So all my aunts, uncles, and cousins can buy it in their home countries soon! It’s nice to get recognized. Belfort breaks into the top 10 on the Hotness, no doubt thanks to the gargantuan review by Ender Wiggins and jtemple as well as the game’s success at BGG.con last weekend. We’re in fine company with Martin Wallace’s latest game, A Few Acres of Snow, Uwe Rosenberg’s long awaited Ora et Labora, and last year’s breakout hit, 7 Wonders by Antoine Bauza. So we’re ecstatic, to say the least, to be amongst standouts like these. Thanks, everyone, for you support and we hope you continue to love playing Belfort as much as we loved designing it! Ender is one of the true giants of the ‘Geek – a name that implies veracity and tenacity in the quest for what is a good game. While Ender and Jtemple (his writing partner) have come under some criticism that they only post positive reviews of games they actually like, it is apparent that there is a whole lot of effort that goes into each and every one of these reviews. And if they were to post a similarly comprehensive review of a game they *didn’t* like, that would be a lot of time spent on a poor product. So when we found out that the team was reviewing Belfort, and that they really enjoyed it…well, Jay and I were over the moon! Ender had prefaced this review with a few solid session reports of his playthroughs with his children – this in itself was great at it showed that the game is more accessible than some, yet still weighty with decisions to be made. So do yourself a favour and head on over to the ‘geek to sneak a peak at one of the most thorough reviews of a game I’ve ever seen! For more of Ender’s Comprehensive Pictoral Overviews, check out this geeklist. BGG.con is the convention run by the number one boardgaming site, lovingly called boardgamegeek.com. This is a convention for gamers! I attended last year to promote the launch of Train of Thought and had a blast! Mostly it’s just people playing games together. 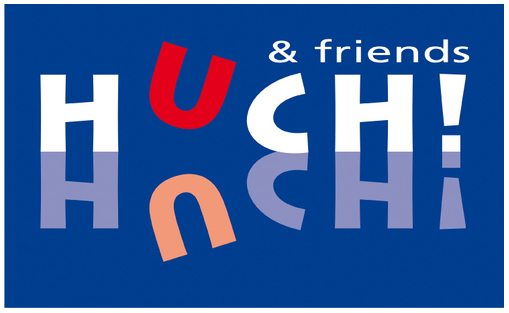 The convention is strategically scheduled a few weeks after Essen so that they can bring all the new and cool games back for the gamers to devour. Throughout the event gamers can use their unique pass code to log into a computer and rate any games that they play on a scale of 1 to 5. As the convention progresses, gamers can see which games are getting a lot of buzz or hype as the top 25 games are on a constant rotation as they are projected on a huge screen in the main hall. They then sort the votes into three categories: High, Medium and Low traffic. So if a game only got 5 votes – but they were all 5’s, then it is put at the top of the Low traffic list. Last year we were humbled to have Train of Thought to be the second highest rated game under the High Traffic list! That was very surprising since it wasn’t a gamers game. This year, attendees were able to get a free copy of Train of Thought if they wanted one! So coming into this year’s BGG.con, Belfort was riding high on some recent reviews and it got elevated to the Hot Games room – where it was set up to be played constantly throughout the event. So guess which game was rated as the best game of BGG.con 2011? 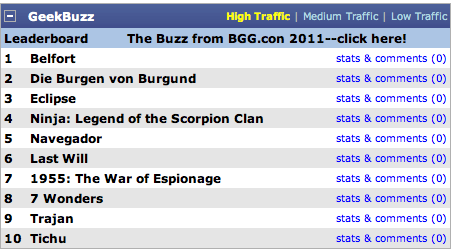 Yep, Belfort was rated as the #1 game for BGG.con 2011 – under the High Traffic list! Wow. That is so great to see. Thanks to everyone who played it at the con! 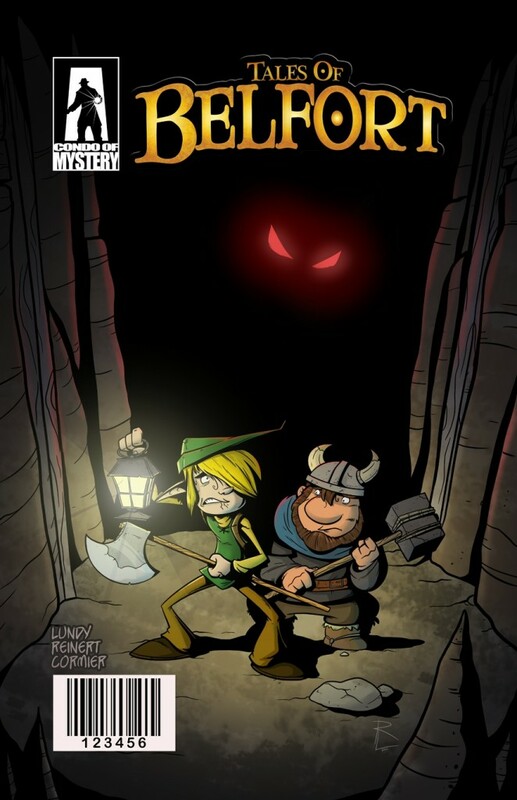 Tales of Belfort – the new comic book! Board games aren’t my only passion. I am also enamoured with comic books. So much so, that I partnered up with fellow comic book aficionado, Tim Reinert (whose blog about comics and movies is amazing, btw), and we started to write our own comic books! We have written about half a dozen short stories so far and the first one that we wanted to pursue also had another motivation for me: it’s set in the world of Belfort! Initially, Tim and I were a bit concerned because we didn’t want to make it seem like a cheap tie-in, like so many ‘anything based on anything else’ can often be. Once we stumbled upon the conceit, we were excited to tell this story. If you’ve played the game and wondered why it takes an Elf AND a Dwarf to get metal from the mine, well, here’s your answer! We wrote a buddy/cop story, where neither character is a cop! Once we got the thumbs up from our publisher, Tasty Minstrel Games, we wrote what we think is a pretty solid adventure story! Our biggest challenge was finding an artist. But like any line of work, it’s often not ‘what you know’ but ‘who you know’. I have a cousin in the animation field who hooked us up with Rob Lundy, an illustrator from Ottawa – we were ridiculously impressed with his work. Once we got through this first comic, we realized that we all liked working with each other so the three of us started a website called the Condo of Mystery. We plan on releasing a new page every week on the site. The first 10 weeks will be the Tales of Belfort comic. Following that, we’ll get into some other stories that vary in genres from Noir to Western to Superhero. Check out the site and view the Tales of Belfort comic by choosing it from the header and selecting Page 1. Please subscribe to it so you can be informed of when new pages are posted! This is an exciting venture for the three of us – Tim, Rob, and myself – even moreso for me since the premiere adventure is set in the world of Belfort! HUCH! & Friends (GER) have our latest party game design safely in their hands to evaluate. We’re very hopeful that this game about maximizing minimal clues finds a home with them! We even made them German versions of some of the idiom cards because we wanted the playtesting to go as smoothly as possible. Is “Raining Cats and Dogs” a common phrase in German? 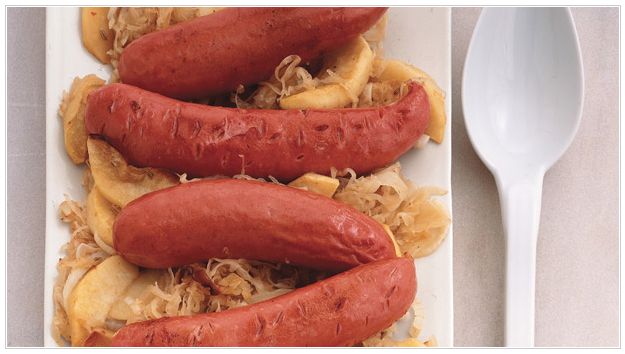 I’m not sure…but I know that anything about sausages probably is! That’s right, folks. Once again, the Bamboozle Brothers go the extra mile to ensure that their prototype gets played in the best of circumstances. While we wish we spoke/wrote German, we do what we can to make game play the best possible experience even with the language barriers that may present themselves. We don’t let a little thing like language stop us!